New place to explore with the gang! 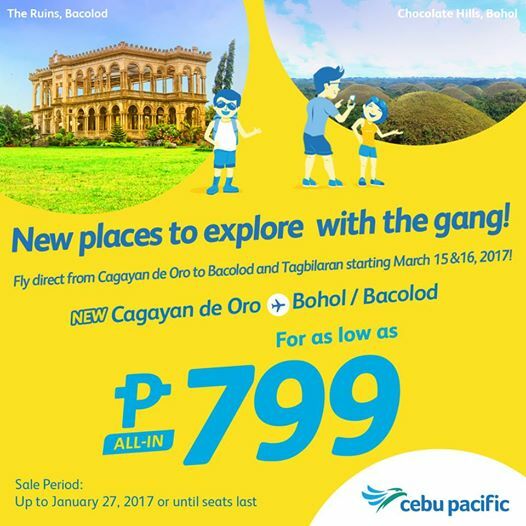 Fly direct from Cagayan de Oro to Bacolod & Tagbiliran starting March 15 and 16, 2017! 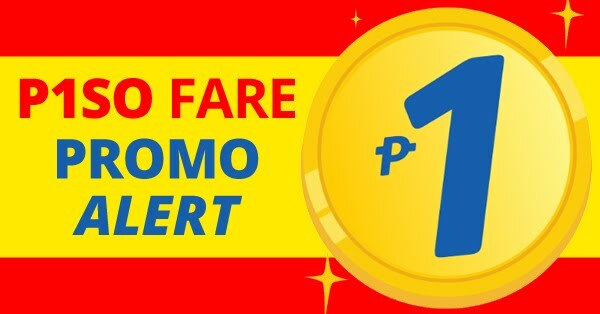 Cebu Pacific Promo 2017: Book all you want this Cebu Pacific 799 Promo Fare 2017. Start Planning! Start Booking! Book online at official website of Cebu Pacific to avail this promo or Book at CHEAP FLIGHTS to get more discounts on different airlines. Sale Period: January 27, 2017 until seats last.